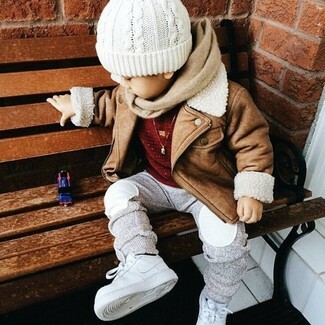 Consider dressing your son in a mustard cardigan with Burberry mini phill jogger sweatpants for a comfy outfit. This getup is complemented perfectly with grey sneakers. Consider dressing your kid in a tan jacket with Burberry mini phill jogger sweatpants for a laid-back yet fashion-forward outfit. White sneakers are a nice choice to complement this look. 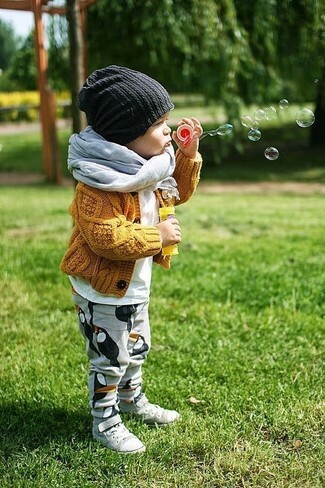 Help your little one look fashionable by suggesting that he dress in a blue denim long sleeve shirt and Burberry mini phill jogger sweatpants from Nordstrom. 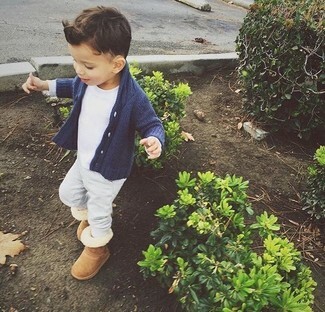 As for footwear your little guy will love tan boots for this look. 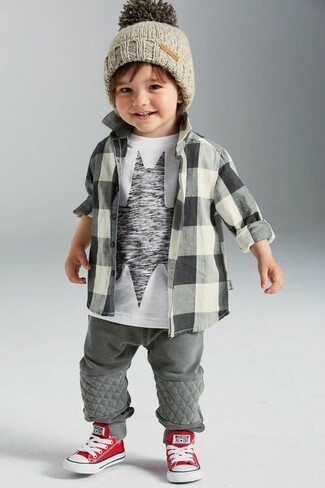 Suggest that your little man pair a grey check long sleeve shirt with Burberry mini phill jogger sweatpants for a laid-back yet fashion-forward outfit. 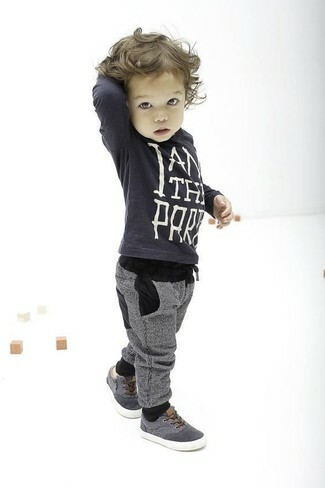 As far as footwear is concerned, suggest that your little one opt for a pair of red and white sneakers. 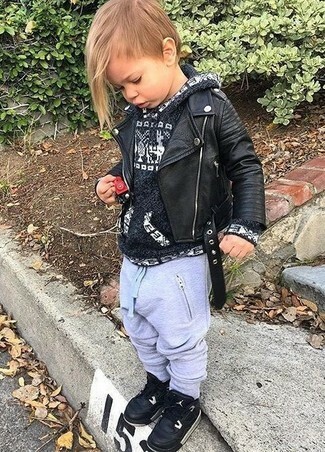 Consider dressing your little guy in a black leather jacket with grey sweatpants for a fun day out at the playground. Black sneakers are a nice choice to complete this outfit. 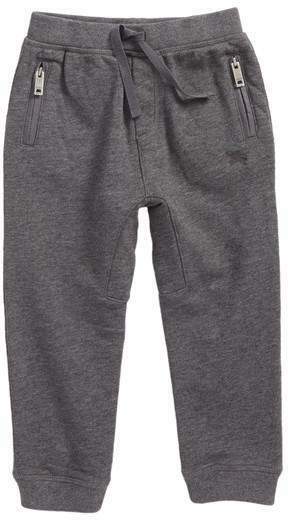 Suggest that your little angel choose a grey cardigan and Burberry mini phill jogger sweatpants for a comfy outfit. 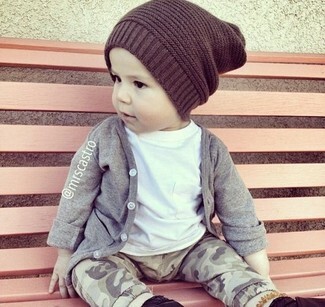 Your kid will look extra adorable in a charcoal sweater and grey sweatpants. 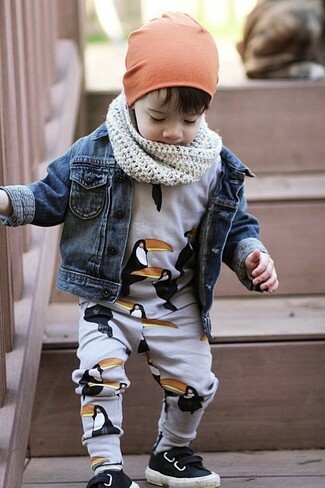 As for footwear your kid will love grey sneakers for this ensemble. This combo of a navy cardigan and Burberry mini phill jogger sweatpants is both a comfortable and stylish choice for your darling. Tan uggs are a nice choice to round off this ensemble. 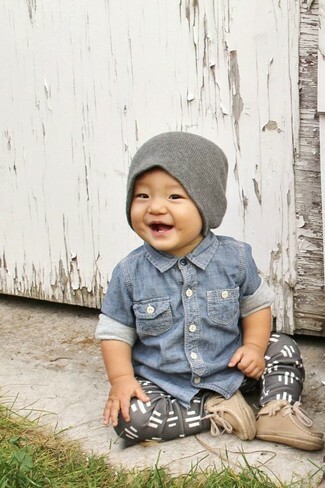 Your darling will look extra cute in a blue denim jacket and Burberry mini phill jogger sweatpants from Nordstrom. Black sneakers are a good choice to finish off this getup.